This is a commissioned version of the covered button coat. 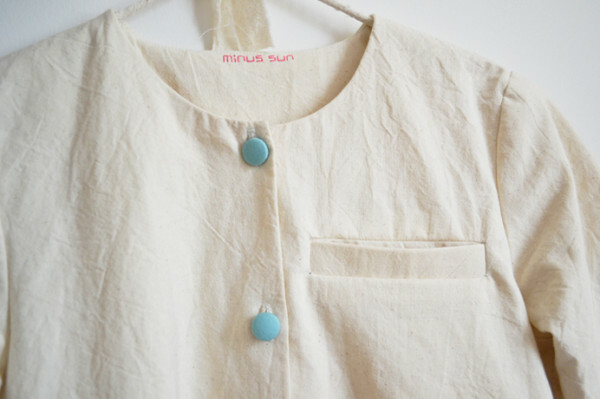 I had originally made this style for myself to wear at craft fairs but now I do made-to-order because I receive compliments when I’m wearing it. 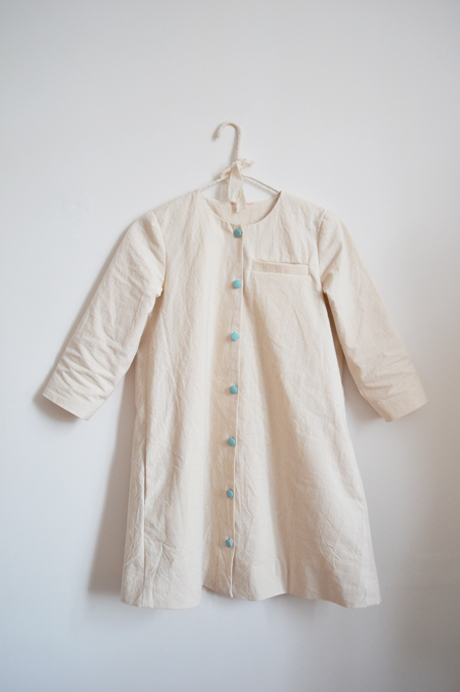 It is a simple calico coat with 3/4 sleeves, fabric covered buttons, side seam pockets and a pleat at the back. 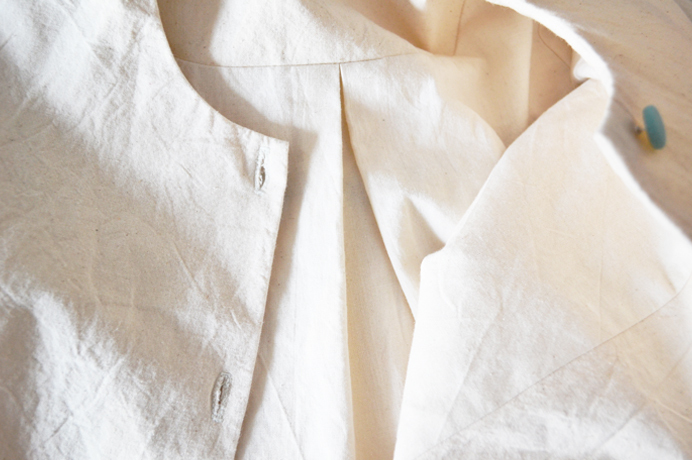 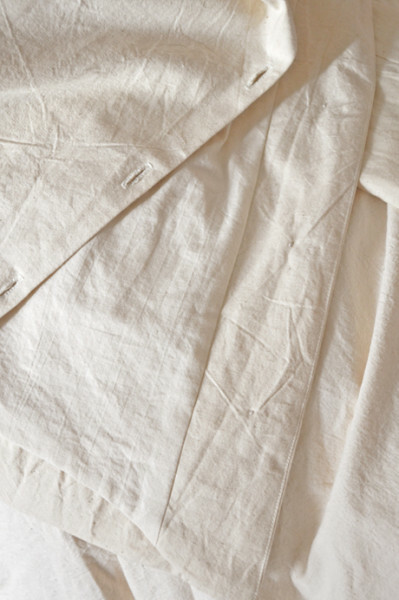 It is fully lined with lighter calico. 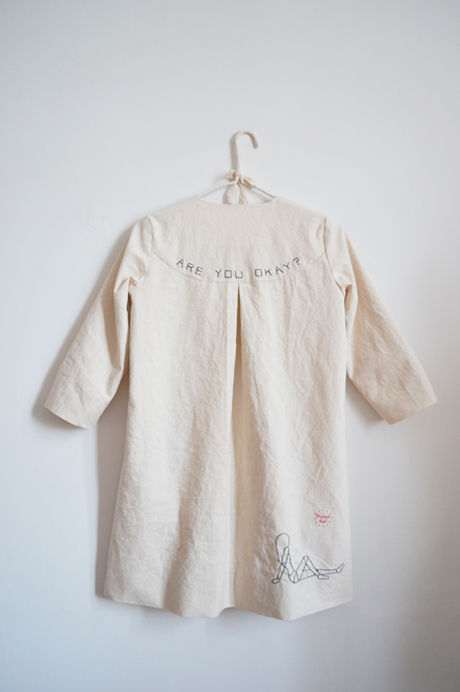 This commissioned version has a welt pocket on the left chest and embroidery details on the back in addition. 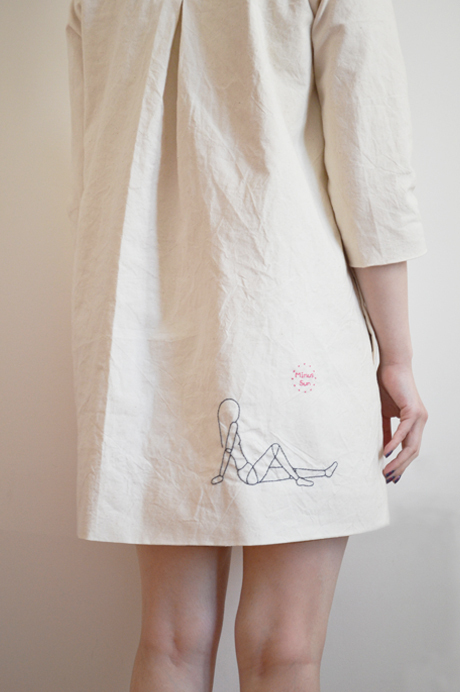 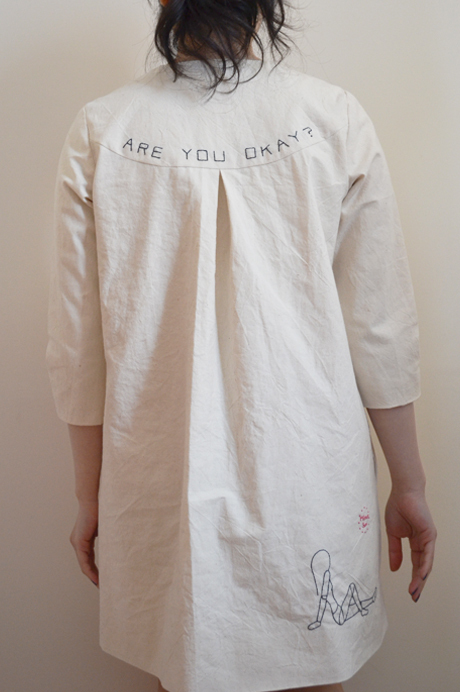 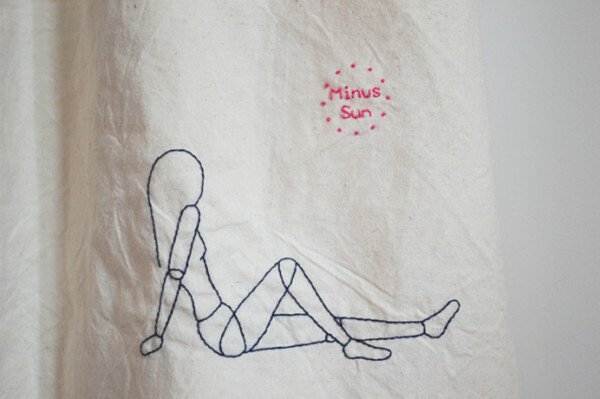 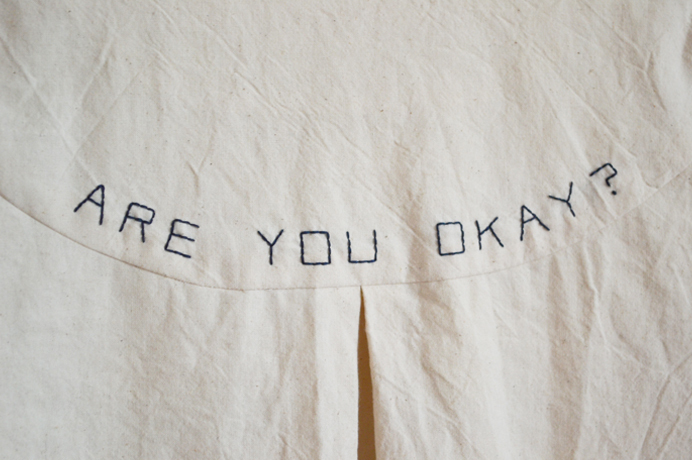 The “ARE YOU OKAY?” embroidery on the yoke and the sitting girl figure on the right bottom are embroidered in navy. The logo above the girl and the brand name at the inside neck are embroidered in hot pink.